Hello! I have a 350 high nickel small block with a bunch of performance parts in it and I need some advice. 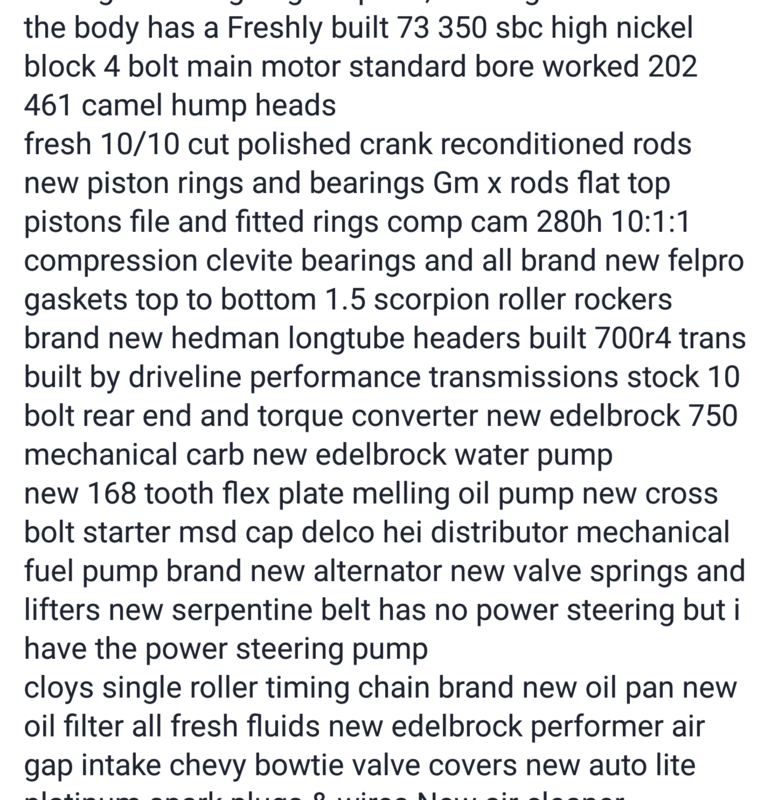 It has a edelbrock 600 cfm "1405" carb with a manual choke on it and I cant get it to run for more than a few seconds without worrying about flooding the engine. Also every now and then when I do try to start it and I have the air filter off the carb and the engine shuts down there is fire coming out of the carb. Im not sure if its a timing issue or carb issue. Is there a way to check timing without having the engine running? And from what I can tell the carb is supposed to be tuned while the engine is warm. Any help would be appreciated, thanks! I can provide details about what is in the car if needed. What is causing it to flood the idle circuit should not provide that much fuel? When the #1 cylinder is at TDC and the balance marker is at the 0 degree mark does your distributor rotor point at #1? Is the carb new or used? Did you verify the spark plug wiring? I did not install anything, i bought the car over the weekend. 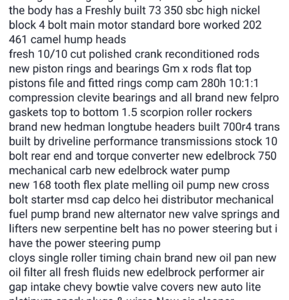 The guy said that the carb is a 750 cfm from edelbrock but it is stamped as a 600 cfm so I am wondering if he put the wrong jets or metering rods etc. 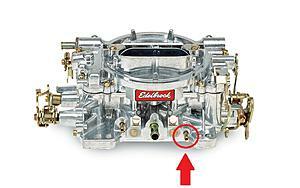 in by mistake so im going to call edelbrock and verify the carb is right. Im not sure what is causing it to flood either. I plan on checking TDC and plug wires when I get home later today. I attached some pictures of whats in it. Could be wrong firing order or rocker arm to tight. Looks like the finest technology the 60s had to offer. I would reinstall the power steering pump. The 1405 is a600 cfm. Pull the carb top and read the number on the rods and Jets. The manual online had the numbers for the stock items. As it seems the engine has not run you still need to break in that cam properly. I would put the power steering pump in but i need to build a bracket for it first. I didnt think about pulling the jets/rods to check but ill do that tonight. And yeah the engine has next to no time on it and I dont plan on running it hard for a while. This is my first project car so Im pretty new to all of this. Before you run it at all you need to do a proper cam break in if it has not been done or you will be pulling the motor apart in short order. The metering rods can come out without taking the top off. If they are right you could bet the jets are. Pull the carb top off and adjust the floats per the manual see of they are off. What type of fuel pump are you using? Also should I get one that can run a gauge? 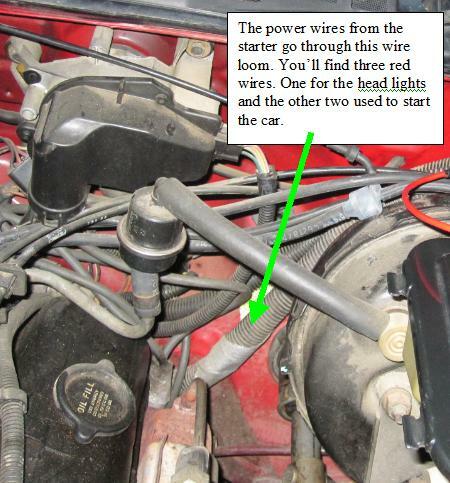 Now remove all the spark plugs, plug the spark plug hole with your finger on the #1 cylinder. Rotate over until you feel compression. Watch the balancer and bring it to TDC by the balancer markings. If the balancer is unmarked or off, then you need ether guess TDC or get a TDC piston stop tool. After you reach TDC pull your cap off the dizzy and check it is facing the #1 cylinder spark plug wire. If it's off a few degrees it's ok, as long as it isn't 180 out or off a lot. After that, you'll be close enough to run the engine and verify timing with a timing light. It seems the carb issue is being taken care of and you made sure the camshaft is broken in. Now with the rockers coming "loose". Is there anymore information you can provide on that? Yes the all of the carb things should arrive by friday. Still havent got to check timing but thanks for clearing it up a little more. And for the rockers Im not 100% sure but he did say he didn't torque them down, and that he would just check and tighten them when needed. You can add a gauge anywhere even inline but you will need one to set the pressure. I just paid the few extra to run a gauge on the regulator instead of buying extra fittings becuase there nearest threaded part of the fuel line was at the bottom of the engine bay so im going to just make a bracket to attach on the firewall and mount the regulator and gauge there and run some extra line. The rockers get adjusted not torqued down. If someone did just try to tighten them that could explain the backfiring. Easy fix then. 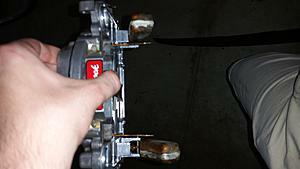 Go through the valve adjusting process (you can find many online places that will show you how too [its easy]). Now with poly locks, you have a set screw inside, just tighten the set screw down inside till tight and turn the poly lock itself another 1/8 to 1/4 turn. Plan ahead on this step when adjusting your rockers. Your rockers shouldn't come loose then by doing this. It depends. If you have an electric pump that supplies more then 7 PSI then yes you'd need one. If you have a mechanical pump you should be good. Go to AutoZone and rent a fuel pressure gauge (some do it free with a deposit, you get your deposit back when you return the tools) and tee it into the fuel line and check your pressure while the car is running or at least pumping fuel if you cannot get it to run for long. Does your car use an electric pump or mechanical? And what year is the car in question? I believe you said the stock electric pump was still in the tank? Edit; Carberutors rely on the Venturi effect to supply fuel. Hence different sizings of jetting and etc. Last edited by Xter; 08-01-2017 at 08:20 PM. The electric fuel pump is dead and there is a mechanical one on there. I ordered a fuel pressure regulator and gauge not knowing about that so i guess i can just return them. The metering rods, springs, and jets should arrive tomorrow and the gasket was bad so that should hopefully arrive by friday. Other than that i think everything is as far as I can get it before putting the new parts in, cleaning out the carb and re installing it. How is the mechanical setup? 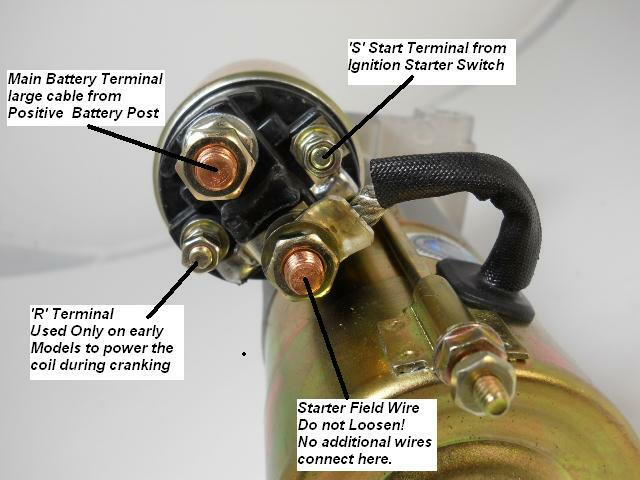 Fuel line routing and etc. I think that may be your issue too and are you 100% sure the stock electric one is dead. I believe the mechanical pump driven by the cam has to have a mechanical pickup installed in the fuel tank. Sounds like the electric pump may be supplying fuel to the mechanical pump and over pressuring it and therefore over pressuring the fuel to the carb. Pull your fuel pump fuse in the fuse block inside the car and then try to start it. See if it'll start and if so, see if it's running on the reserve fuel in the mechanical pump or if fuel is being supplied to the mechanical pump. Im not really sure how its set up as i didnt build the car. I would try and start it without the fuse but the carb is already out and cant be put back in right now. We opened it up and it looks like it could use the jets and metering rods that i ordered so those are going in regardless. After that if the car fires up ill know it was the carb if not ill try to fuse idea. Keep us updated and be safe. I'd inspect the fuel lines on their routing to make sure nothing is rigged up or wrong being this car is pretty far off from the stock style system. There's threads on this forum that show how fuel systems should be plumped for mechanical and electric in tank setups and how to convert to one or the other if you need reference information for your car. I had a few thoughts that might and help diagnose the problem or at least add a few things that I can check. 1. Can I run a timing light while the engine is turning over (BUT NOT RUNNING) to make sure timing isn't off? 3. Does my car need a return line? I'm not sure if it has one at the moment or not (I would think it does because it had a running electric fuel pump at one point). From what I've read on mechanical pumps there is a little bit of controversy if mechanical pumps need one or not. But from what I can tell electric ones do and if my car had an electric pump on it it should have a return line. But then again if the mechanical pump pulls after the return line then it should need a different return line right?. And from what I know at the moment the electric pump doesn't work but it does have one installed. I already have a pressure regulator ordered but I'm not even sure if ill need it with that mechanical pump for two reasons. One being that the pump itself might regulate the fuel pressure, two being that the car doesn't need a return line because of reason one. I'm not an expert on the topic but this is just my thinking about it all. Last edited by Gompeh; 08-02-2017 at 07:38 AM. The previous owner of my car for some reason hacked off the return line no issues with my mechanical pump. You only need it if your setup requires one. Last edited by Gompeh; 08-02-2017 at 10:02 AM. So i got the jets out today. The primaries were easy but the secondaries were stuck like nothing else. Had to end up using a screw extractor on them. The guy i bought the car from said that it was running rich so i put in .098 instead of .100 as primaries and .92 instead of .95 as secondaries. 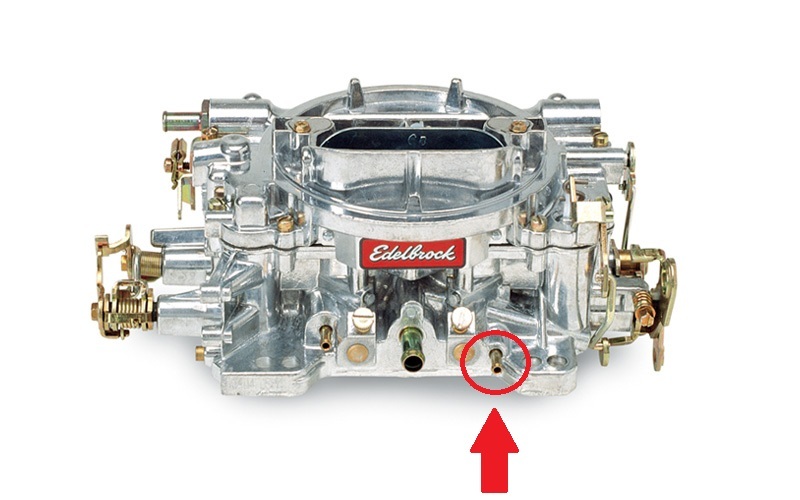 And im going to put in the metering rod edelbrock recommends for the primaries when i get the rest of the carb put back together. Trying to time the engine while it's cranking won't work. Just set the timing with the engine off as described. Forgot to mention you should set it so many degrees BTDC. 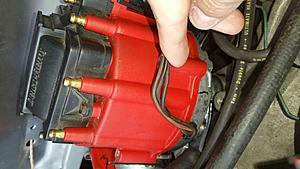 Try 10-12 below and have the rotor pointed directly at #1 spark plug wire on the cap. This will set your timing close enough to run and idle. Then you time the car while it's running with a light. The 700r4 don't use a vacuum modulator. They use a TV cable to adjust line pressure. I'm not sure how a mechanical can be setup to run to be honest. I've only played with electric in tank pumps so I'm use to always running a regulator and return line. If it was mine, I believe at this point I'd be going back and taking a REAL good look at EVERY SINGLE THING that numbnutz touched. There is float level and float drop. Be sure you know where to bend those tabs. DO NOT crank the engine (trying to time it) without the carb being connected! You have an OPEN FUEL LINE from the mechanical fuel pump that WILL SPRAY FUEL all over the engine compartment. One spark and it lights (ask me how I know). Rotate the engine to 12 degrees BTDC on the #1 compression stroke. The rotor should be pointing at #1 on the distributor cap. If you have not touched it previously, it will start. Time it after it is warmed up. So the distributor cap is at a set position so that i cant turn the cap to set the timing (i was going 10 degrees before tdc) the sharpie mark is roughly 10 before tdc so i think that is fine but i will check with a timing light before i drive it. The carb part still haven't arrived and it 4:30 where i am do i can only hope right now. Ok so i got the carb back in and connected everything and it was wanting to fire up and you could hear it wanting to start. Then it backfired once and now it doesn't even want to turn over. Any ideas? Last edited by Gompeh; 08-06-2017 at 10:53 AM. 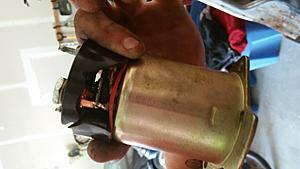 So I think i found why two fuses were blown... That is my starter solenoid. And the cap on the top got smashed somehow. Its been replaced and is in the car but I still havent had time to try and start it again and i didnt think to test to make sure that the starter is still ok outside of the car, but it looks brand new and so did the solenoid. Any ideas on how this happened? Its somewhat close to the headers so could the heat have been a factor? Last edited by Gompeh; 08-08-2017 at 10:13 AM. could the heat have been a factor? Ok so i replaced the solenoid and i accidently had the main post and the one of the 2 side posts touching and when i went to plug the battery back in the starter ran and the battery connection sparked. I fixed it so all of the posts werent touching and now nothing electrical works. The lights dont turn on when the door opens etc. The battery has charge and all of the fuses looked good. Any ideas? Sounds like either the fusible link(s) got blown in the process, or they're on the wrong terminal. In addition to Sofa's comment, there's a red wire with a fusible link that connects to the solenoid that provides power for most of the rest of the car. If that is disconnected, or the fusible link is blown, you'll have to replace the fusible link with either an inline fuse or a new fusible link. I can't remember offhand, but I think you size fusible links 2 sizes down from the actual wire gauge. So if it's 10 gauge wire, you use a 14 gauge fusible link. Someone correct me if I'm wrong. So as of now i dont see any fusable links. The wiring harnesses seems home made so i might have to tear apart all of the electrical tape to check for anything or just make a new one. Im so burnt and just frustrated from all of the bs thats happened so im gonna wait until tomorrow. Try to get a pic of this home maid wiring harness by the starter. I'd hate to think someone would get rid off that bit of harness, it's just about the most useful part of it for any swap carbed or FI. It must have burnt or got tucked back and if anything inside the car ever turned on it must have been hooked to something. Use a test light or voltmeter to troubleshoot. When you find where your +12v goes missing, you've found the problem. Ok so i bolted the starter back in and wired it but the only things getting power from the battery is the red connection to the alternator and the main post on the starter solenoid. The 2 side posts on the solenoid are not getting power so that would mean the rest of the car isn't getting power right? One of them should engage when the car starts and the other should always have power if my thinking is correct. Last edited by NoEmissions84TA; 08-10-2017 at 07:30 PM.